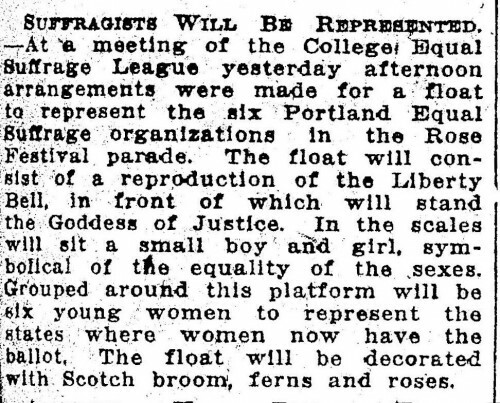 —At a meeting of the College Equal Suffrage League yesterday afternoon arrangements were made for a float to represent the six Portland Equal Suffrage organizations in the Rose Festival parade. The float will consist of a reproduction of the Liberty Bell, in front of which will stand the Goddess of Justice. In the scales will sit a small boy and girl, symbolic of the equality of the sexes. Grouped around this platform will be the six young women to represent the states where women now have the ballot. 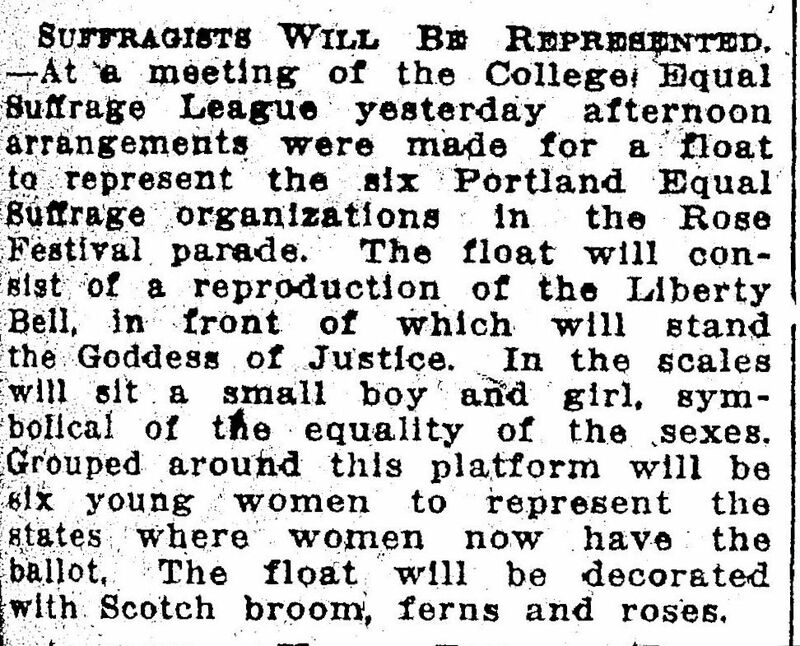 The float will be decorated with Scotch broom, ferns and roses.